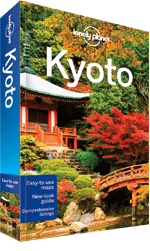 Kyoto was the capital of Japan from its founding in AD 794 until the mid-19th century. As the centre of Japanese culture for more than 1,000 years and the only major city to escape bombing in the Second World War, Kyoto is Japan's cultural and historical gem, home to over 2,000 temples, shrines and gardens. There are countless attractions in the city which could take weeks to explore. Among those is the imposing Nijo castle, built in 1603 as a palace for the Tokugawa shoguns. Kinkaku-ji Temple, known as the Golden Pavilion, is one of the most recognisable landmarks in Kyoto, much of it covered in gold foil. The temple at Ryoan-ji is noted for its beautiful Zen gardens. The 'Path of Philosophy' along the eastern hills incorporates Ginkaku-ji (the Temple of the Silver Pavilion), Nanzen-ji Temple and Kiyamizu-dera (Temple of Clear Water), the latter with a superb location atop a hill. Elsewhere the Gion Geisha district, made famous in the novel 'Memoirs of a Geisha', has numerous teahouses and restaurants. Organised group tours: Click here to see 17 tours to Japan which may include Kyoto.